The railed P226 MK25 chambered in 9mm and engraved with an anchor on the left side of the slide and UID label on the opposite side. 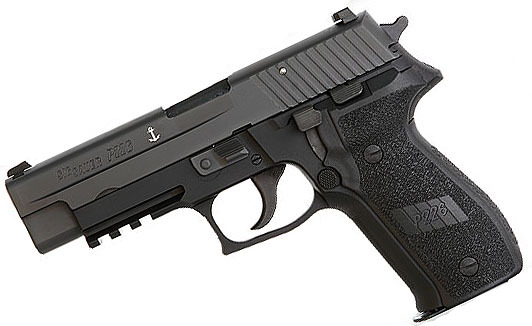 This combat handgun is identical to the US Navy SEALs sidearm. Comes with night sights, phosphated internal controls, DA/SA trigger, 3 magazines, box, lock and manual. Many rounds later and it's still 100% reliable and accurate. Great buy!